Tokidoki, a line inspired by the work of celebrated Italian artist Simone Legno, is exclusively launching at Sephora in May. The line includes pop pigment shades for eyes, lips and face as well as fun nail files, key chains and makeup bags. "The creation of these tokidoki cosmetics have given me a completely new way to express my characters and their universe," says creator Simone Legno. "And doing it as a Sephora exclusive made perfect sense - they understand the relationship between fun, creativity, self-expression and color unlike any other retailer." I have a few favorite tokidoki characters, like Latte, Mozarella, SANDy and Bastardino. 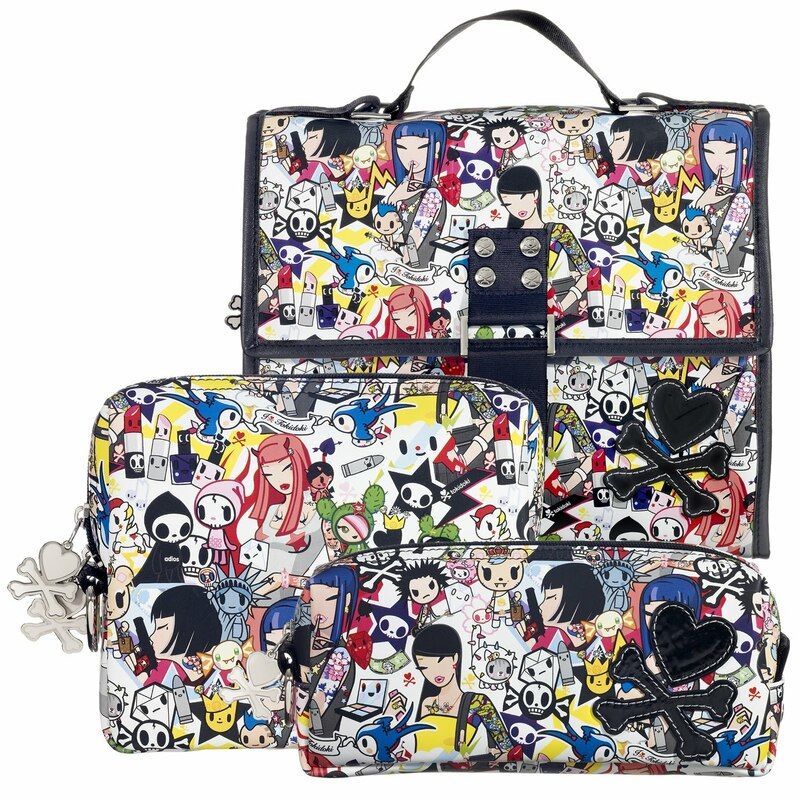 I love how each piece of the tokidoki collection incorporates the different characters. 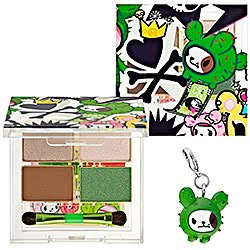 Within the Prisma Lip Gloss cap is a criminally cute tokidoki character inside a snow globe and the Cromatico Eyeshadow Palette is character-themed with its own collectible charm. Learn more about the tokidoki characters here. Jerry Hutchinson from the Sephora PRO Beauty Team applied some shades to my eyes, including Soya, a vivid yellow green pearl. It is a color I never would think to try, but really stood out. 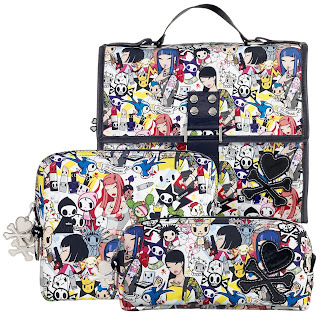 The iconic compaact design features tokidoki's signature skull and crossbones. I can't wait to try out the Skeletrina Cromatico Eyeshadow that I got, in bright cobalt pearl. Another sampling of pieces I can't wait to try is the Inferno Bronzer, and SANDy Nail File. Jerry applied the black Punk Lash Mascara on me, but I saw how vivid the blue was on one of my blogger friends. I have the cobalt blue Dior mascara shade which appears as a dark blue and more noticeable in the sunlight, compared to this one which is very bright and makes your eyelashes pop. If you can't wait a few days for the official launch in May, the collection is already available at sephora.com and select Sephora stores so definitely look out for it the next time you are at Sephora. 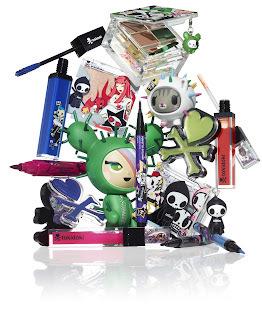 The pieces included in the collection are great collectible items for tokidoki fans and fun, affordable standout makeup for any age. Here's a video from Highsnobette.com of Simone Legno talking about the launch.